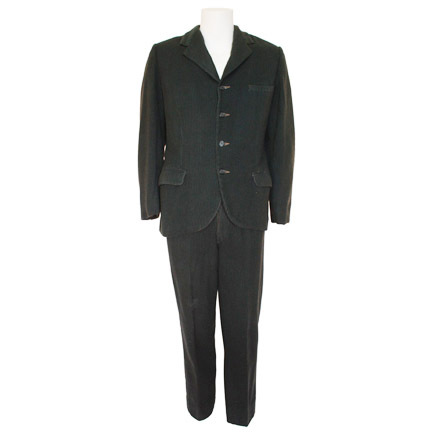 This dark green striped two-piece suit was worn by the character Butch Cassidy portrayed by legendary actor Paul Newman in the classic 1969 motion picture “Butch Cassidy and the Sundance Kid, starring Robert Redford and Katherine Ross. 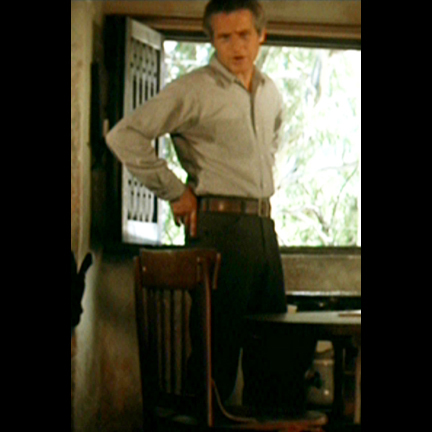 The pants are seen notably during the scene where Butch and The Sundance Kid (Redford) discuss their plans to travel with their mutual companion Etta Place (portrayed by Ross) after pulling off a series of high profile robberies. In an interesting side note, the pants have the words “Bike Double” typed inside, possibly indicating that they were originally intended to be worn during the now famous sequence where Butch rides a barefoot Etta on the handlebars of the recently invented contraption known as a bicycle, although a different wardrobe change ended up being utilized in the sequence. 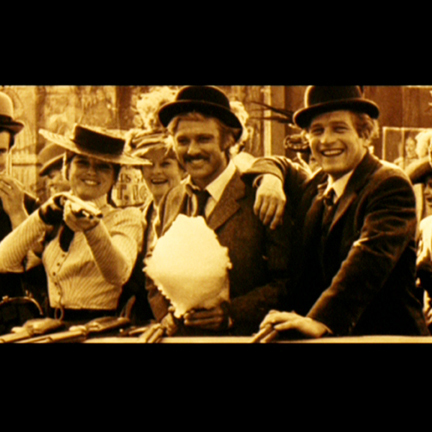 Mr. Newman appears wearing the suit in several shots of the black and white montage sequence that depicts Butch, Sundance, and Etta’s sampling of New York City’s delights before the group decide to flee to Bolivia. 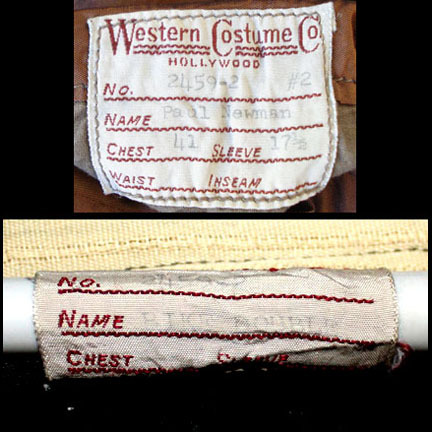 The jacket has the original Western Costume Company label sewn inside with the name “Paul Newman” and production and sizing information typed in slightly faded ink. 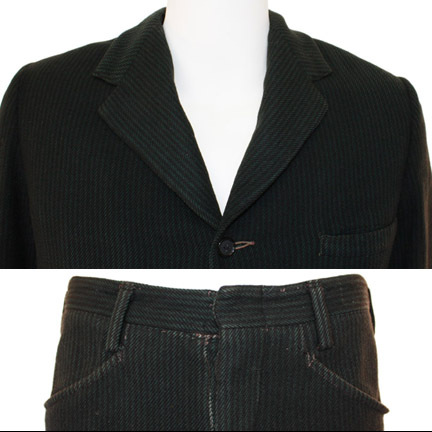 Both garments are in very good screen used condition as seen in the film and are accompanied by a letter of authenticity. 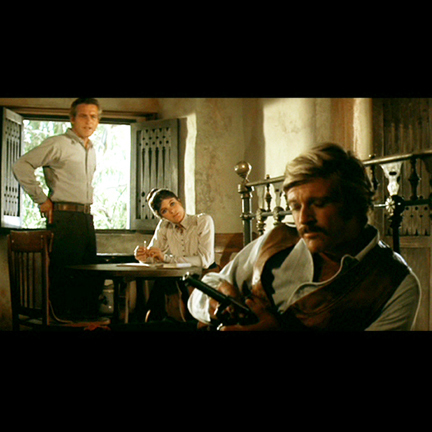 Butch Cassidy and The Sundance Kid is still considered to be one of the late Paul Newman’s finest performances of his career and the film won multiple Academy Awards in 1970, including Best Writing, Best Music, and Best Cinematography. 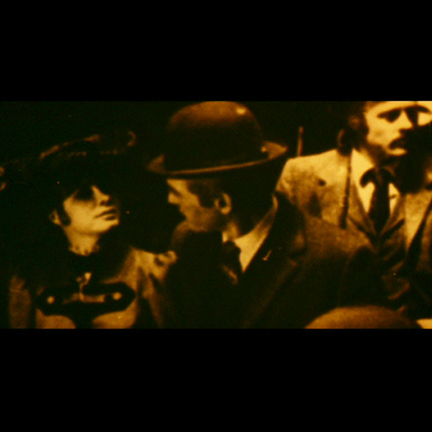 The film was also nominated for Best Director, Best Picture, and Best Sound. 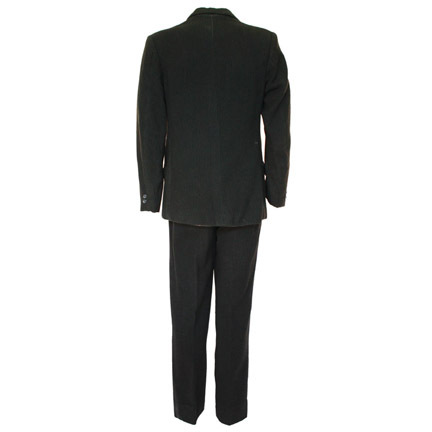 Presented by The Golden Closet, your premiere source for screen used wardrobe, props, and entertainment memorabilia.